Two weeks past the flooding, the Iranian regime is still not supplying aid to tens of thousands of people who’ve lost their homes, farms, and animals, and are in need of very basic food and closing, etc. 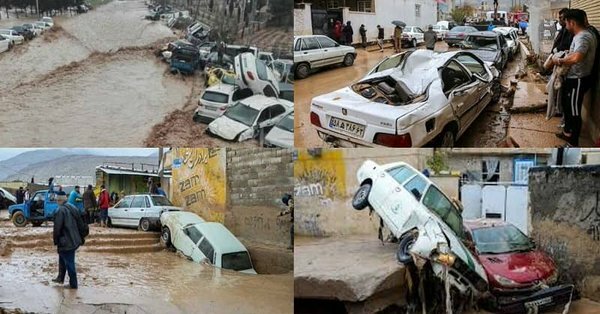 On March 20, 2019, a series of rainstorms hit Iran, leading to flash flooding in several provinces. Two more major floods followed, overflowing the banks of already swollen rivers, bursting dams, and causing massive destruction throughout the country. The floodwaters are beginning to recede in most parts of Iran, but the country that is left behind after the floods have changed. The wreckage left behind by the rushing water extends beyond destroyed homes. As the people of Iran begin to rebuild their shattered lives, they do so knowing that their government abandoned them in their time of need. The city of Poldokhtar sustained heavy damages during the third round of flooding, and all roads to the city were blocked by floodwaters. Residents of the city have been stranded without emergency aid for days. The governor blamed the lack of communication with the city for the government’s failure to rescue the stranded residents or provide an accurate assessment of damages to Poldokhtar, but he did not say why the governmental institute known as Red Crescent helicopters and the military in nearby Khorramabad were not addressing the crisis. Brave young Iranian protests the regime's Red Crescent members taking selfies along a river instead of helping flood-hit locals. The government’s response to the catastrophic floods has drawn harsh public criticism. Flood survivors were left stranded on rooftops and hills, entire cities lost access to food and drinking water, roads were flooded, and hundreds of people lost their lives. 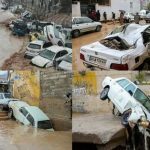 The regime continues to diminish the number of deaths and damage from the floods, but local sources say the death toll numbers in the hundreds. Thousands of people lost their homes. The people of Iran desperately need aid, but the regime is unable to provide it for them. The mullahs have spent forty years plundering the people’s wealth, and now there is none left to address the nationwide disaster unfolding across Iran. Without the regime to provide aid, the people are helping each other. Although almost every province suffered damage and Iran is in the midst of an economic crisis that forced 80% of the population below the poverty line before the floods, the people have come together to help their neighbors. At the urging of Mrs. Maryam Rajavi, President of the Iranian Resistance, MEK Resistance Units are organizing relief efforts to help those who have been affected by the floods.